I’ve wanted to do a post about what it’s like to be an AD, (Area Developer) for a long time now, and magically, Peter Biro appeared on the scene. He’s a Five Guys franchise owner who has agreed to share his top tips with you. Before you read Peter’s post, I wanted to share a little background information on the two food franchises Peter Biro and his team are involved with. NakedPizza’s mission as well as its marketing and operational savvy attracted the backing of billionaires Mark Cuban and Robert Kraft of The Kraft Group and has triggered more than 4000 investment inquires and enthusiastic interest from multi-unit operators from around the world with established track records and deep resources. The Boston and New England area, led by Peter Biro in a partnership that includes The Kraft Group, equity backers of Naked Pizza. The Kraft Group’s investments include the New England Patriots, several international business interests and extensive real estate holdings throughout the region. Biro is also a lead partner in a group that operates 18 Five Guys Hamburgers and Fries in the region. Jerry Murrell and his sons opened their first burger joint in 1986. When they began selling there Five Guys franchise in 2002, the family had just five stores in northern Virginia. Today, there are 570 stores across the U.S. and Canada, with 2009 sales of $483 million. Overseeing the opening of about four new restaurants a week, the Murrells are proof that flipping burgers doesn’t have to be a dead-end job. Massachusetts Burger Enterprises is one of the nation’s largest franchisees of Five Guys Burgers and Fries. Five Guys has built a fanatical following by serving award-winning burgers that are made-to-order with 15 free toppings and hand-cut fries cooked in 100% peanut oil. The company is dedicated to a quality product and customer experience. With over 500 stores across the country, Five Guys is one of the nation’s fastest-growing fast casual concepts as ranked by Restaurant Business magazine. I am an entrepreneur doing startups in large area franchise development. This means that I (a) find a great concept (so far, Five Guys and Naked Pizza) and a great territory (MA and NH have great demos and density), then do what is necessary to buy the rights and close the deals, (b) work on the business constantly: find great sites, obsess over marketing and PR, hire/motivate/direct the best team I can put together, and above all, (c) make sure we never run out of money. 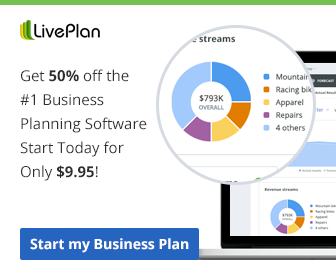 This is a different model than Franchising 1.0, in which you have a real full-time job either doing something else entirely or you work primarily in your own stores, often to save labor costs. Working “on” the business, the right way, is a full-time job. It cannot be done any other way. Franchising 2.0 is about bringing operations and financial discipline to someone else’s business idea, at a very large scale. This is especially true in performing at a high level in real estate and marketing, which are key in high-margin businesses. When franchisees lose focus on these details, they can and will get killed and my friends at Apex or Nixon Peabody move in. Area development is a business Warren Buffett would love: consumes a lot of capital (i.e., building stores), gets a high return on that capital (i.e., cash-generation from stores), and has a decent margin of safety (way better than software). 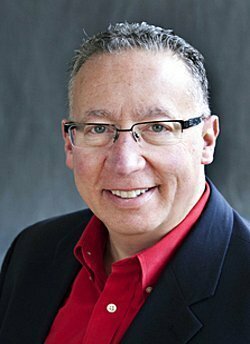 For experienced developers with access to funds, it’s like 1870 in railroads or 1994 and the Internet: real estate’s available, great contractors and managers are looking for work, and my VC friends cannot stop investing in awesome and free local marketing technologies like Facebook, Foursquare and Twitter. I hope to make my early investors (who were willing to lock up their money for 7+ years) compounded returns over 20% per year. And, as we develop stores, we bank real and valuable intellectual property about local markets and customers. 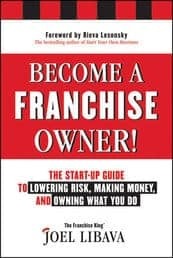 Professional investors have overlooked Franchising 2.0 as an investment class because of Franchising 1.0’s brand image – but at the risk of sounding like a character in a Michael Lewis book, I say this will not last. All that said, this is a people business. If you hire the wrong people, or hire the right ones but treat them poorly, you will fail. In Naked Pizza, for example, Mark Cuban and the Kraft Group (owners of the NE Patriots and Revolution) are investors in the franchisor, with the Krafts part of my area franchisee group as well. Can they be a hugely valuable strategic partner long-term? Definitely. Does their involvement get the right product delivered on time every time by a knowledgeable and personable associate? Nope. My cash registers start at zero at the start of the day like everyone else’s and in a social media world, it is imperative that you serve customers an honest product in an honest way. Franchising 2.0 is about making money for investors, and having a real impact on the community – financial promise with social purpose, if you will. To my mind, this is a high calling and my hope is that outstanding executives from all backgrounds move into this field and help give it the prestige it deserves. Thank you for providing this post from a franchise owner. It’s great to read about franchises with the help of a real-life owner, and looking like a big-time one, too. 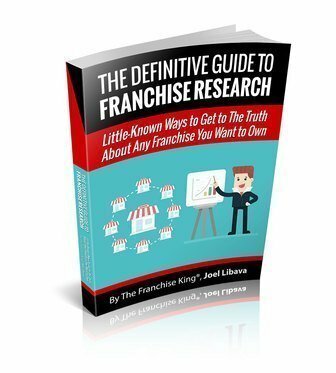 I love your blog, Joel, and your realistic take on the world of franchising. Thanks for stopping by, and of course, thank you for the compliment. Any advice on how to get out of a failing franchise with 3 years left on the UFOC agreement and lease?